A celebration of African food and dance. A talk from a leading scholar on sexual harassment and the #Metoo movement. A film screening and panel discussion about cochlear implants in the Deaf community. These are just a few of the events held at Heller, driven largely by students. 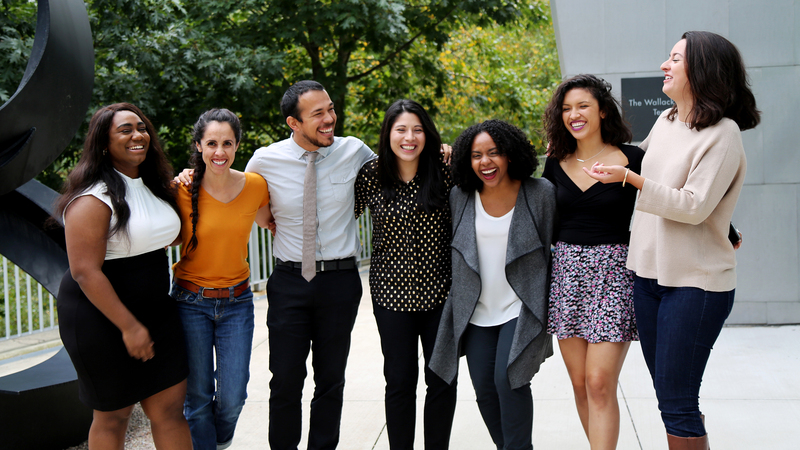 If you’re looking for a way to make your voice heard—or to elevate the voices of those traditionally disenfranchised in society—join a student group or work directly with Associate Dean Maria Madison to create your own. Dean Weil joined the Heller School in August 2017, and in his first years has prioritized efforts to improve diversity, equity and inclusion at Heller. One of his first hires was Maria Madison, Heller’s first associate dean for diversity, equity and inclusion, who has implemented school-wide metrics to evaluate and track the school's progress on these goals. This benchmarking system is based on the Higher Education Excellence in Diversity (HEED) Award, and provides a comprehensive set of goals for achievement and improvement. 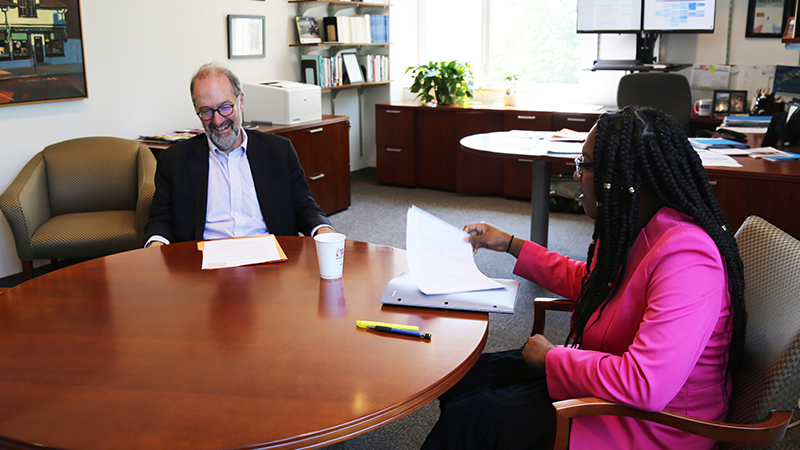 After his first full academic year as dean and with benchmarking well underway, Heller DEI Intern Tyra Westbrook sat down with Dean Weil to discuss the HEED metrics, many of which are focused on leadership.